Paintings can be like buses, or in this case like trains: you wait ages for one and then two turn up at once. 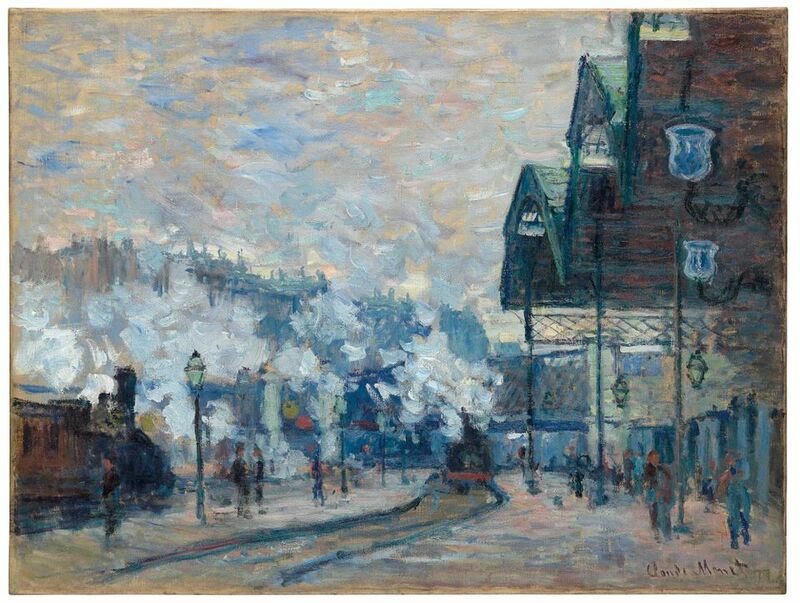 Earlier this week in New York, Christie’s sold one of Claude Monet’s pictures of the bustling Gare Saint-Lazare from the Rockefeller collection for $32.9m; next month the auction house is selling another in London with a price tag in the region of £22m-£28m. Monet painted the series of 12 canvases in the space of three months in 1877–the first time he consciously conceived a group of works as a whole. “It is pretty much unprecedented to have two pictures come up at auction like this,” says Keith Gill, Christie’s head of the sale, adding that the timing is “complete coincidence”. The painting will lead Christie’s Impressionist and Modern sale on 20 June. La Gare Saint-Lazare, Vue extérieure (1877) comes from the collection of Nancy Lee and Perry Bass, the Texan couple credited with transforming Fort Worth. “It is one of the most important paintings by Monet to be sold in London in the past 20 years,” Gill says. While Monet’s depictions of rural landscapes are perhaps better known, this series portraying the energy of city life marks a significant moment for the artist, who had just returned to Paris after a period in the countryside. “The paintings represent a dialogue between Monet and the increasing modernity of everyday life in Paris, which was rapidly changing at that time,” Gill says. Partially painted en plein-air, the series is much more complex than Monet’s later pictures of waterlilies, which were created on the spot in short spaces of time (he painted some 250 water-lily paintings over the final 30 years of his life). Nine of the Gare Saint-Lazare series are in public institutions. These include the Fogg Art Museum, part of Harvard University in Cambridge, Massachusetts; the Art Institute of Chicago; the National Gallery, London; and the Musée Marmattan and the Musée d’Orsay, both in Paris. Two are currently on show in the National Gallery exhibition, Monet & Architecture (until 29 July).